Some pre-Halloween fun going on over here. 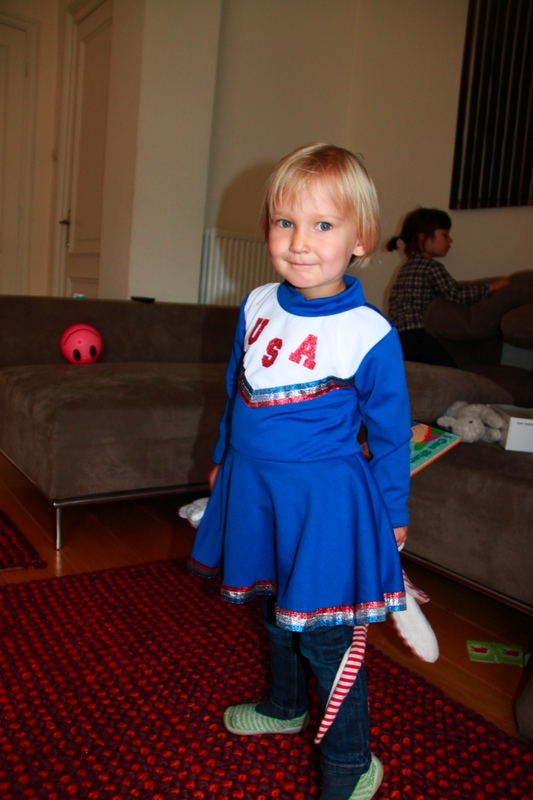 Maia is going to be a lovely cheerleader garbed in a fantastic highly flammable 100% polyester USA cheerleader dress. 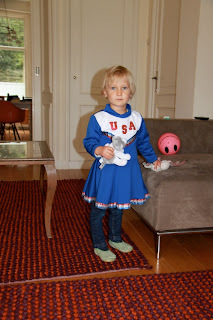 She's been wearing it 3 days in a row and Halloween is still weeks away, rah rah!